For those seniors currently living at home within Mason County, feeling like a burden on friends or family can be a major factor in their quality of life. Some seniors don’t want to burden their loved ones with their care, so they opt for a nursing home. The Health Department has vowed to help individuals locate the very best in home senior care to ensure they may live in peace and comfort at home without being put into a nursing home. Hygiene – Seniors with physical impairments may be incapable of caring for their own personal hygiene, grooming, or bathing. In fact, these tasks may prove difficult for untrained family members. For these individuals, an in home nurse can handle such cases. Mobility Assistance – Seniors living with a wheelchair or crutches may also require mobility assistance from an in home care provider. Specialized training has been provided to care providers for such tasks. Diets – Many of the elderly require special diets – or are simply picky eaters; an in home care provider can handle such care with ease. A major factor in caring for the elderly comes in the form of simple companionship. Service providers in Mason County pride themselves on offering conversation and companionship. Providers can complete little chores here and there for the seniors stuck at home alone. While it does not seem like a big deal, a bit of companionship can make a huge difference in one’s quality of life. As many grow older, they begin to lose touch with those around them. This can be devastating. Do you need help finding the best care for your loved ones? 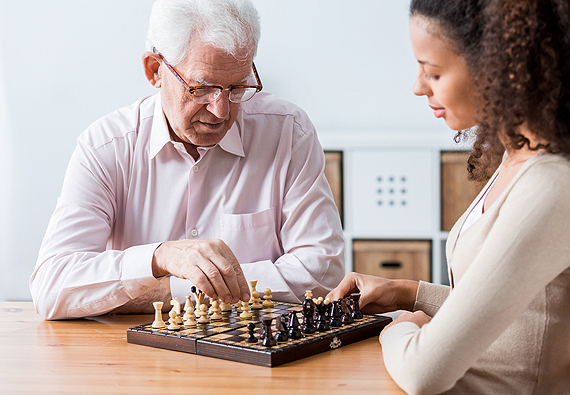 We are dedicated to ensuring that our seniors receive the best care possible. Therefore, for questions or concerns relating to in home care for seniors, contact the Health Department at 309-210-0110.